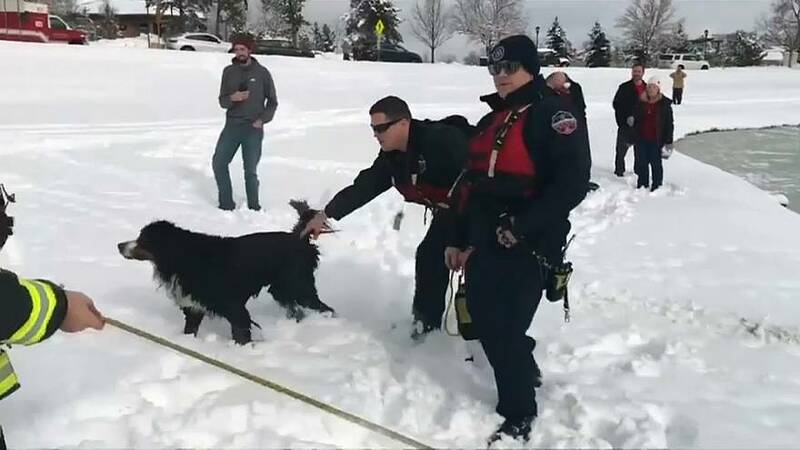 A dog was rescued from an icy pond in the city of Lone Tree, 24km from Colorado, on Saturday. Video of the incident showed a firefighter dressed in a dry suit, which was attached to a safety rope, crawling towards the dog. He can then be seen assisting the canine up onto all-fours before both make the journey back over the thin layer of ice to safety. "Bri" is one lucky pup!" wrote South Metro Fire Rescue in a Facebook post.